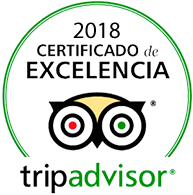 Tenerife is an island that offers landscapes for all tastes and preferences. Its mountains, forests, mountains and beaches are as varied as we can imagine. Playa Grande: quiet environment, with white sand and very close to the Poris. It is great to spend all day resting there. 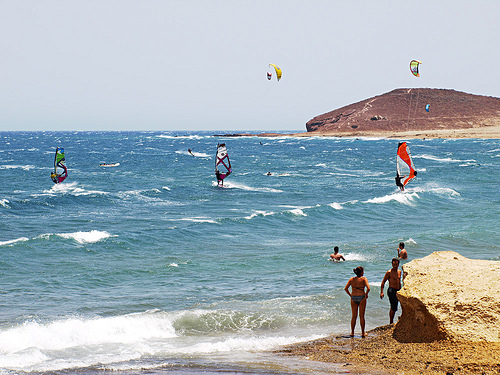 Playa del Socorro: ideal for surfers and surfers. It is a paragliding runway and a starting point for hikers. Charco del Viento: for the curious looking for something different, this is a cove hidden in the north of Tenerife, by the coastal area of La Guancha. Its waters are always calm by the rocks that surround it. Playa de Benijo: Located in Taganana, on this beach you can see one of the most spectacular sunsets of the island, with privileged views towards Los Roques de Anaga. Playa La Tejita: next to Montaña Roja, is the ideal beach for water sportsmen or hikers who want to climb the mountain and then take a refreshing swim. You can also practice nudism if you like. This entry was posted in Experiences, Playa de las Americas, Tenerife and tagged Beach, playa, Tenerife. Play with the snow in El Teide!